The new University Health Services building was crowbarred into an extremely tight plot of land that created a very challenging work space. Those challenges affect productivity, job site moral, and success of the application. 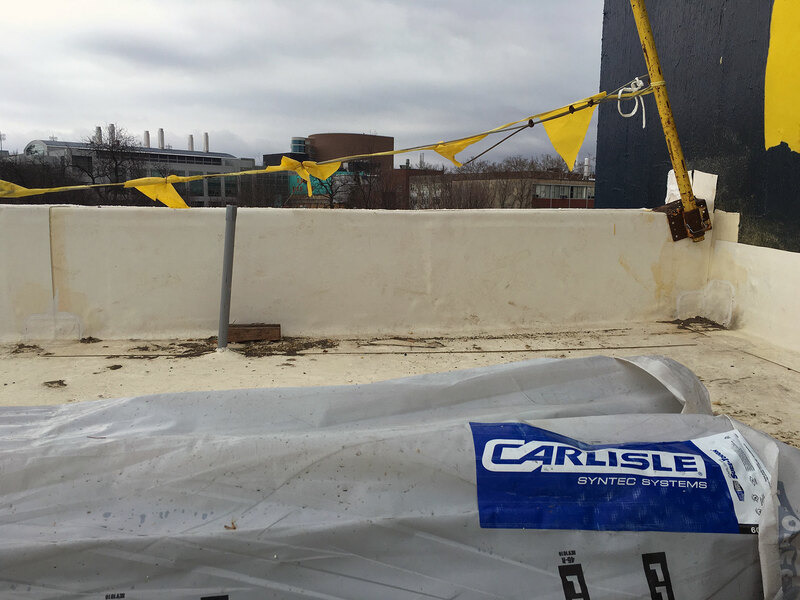 From the waterproofing on up to the roofing, Carlisle Construction Products were used to stop water intrusion into the building enclosure. The west foundation wall of the building cut into the side of the hill requiring a blindside poured foundation wall. 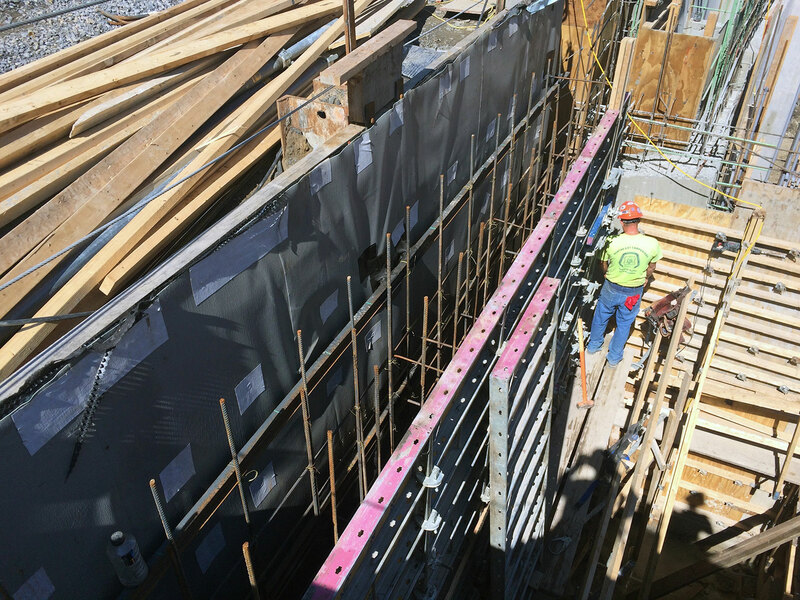 Blindside foundation walls require blindside waterproofing. 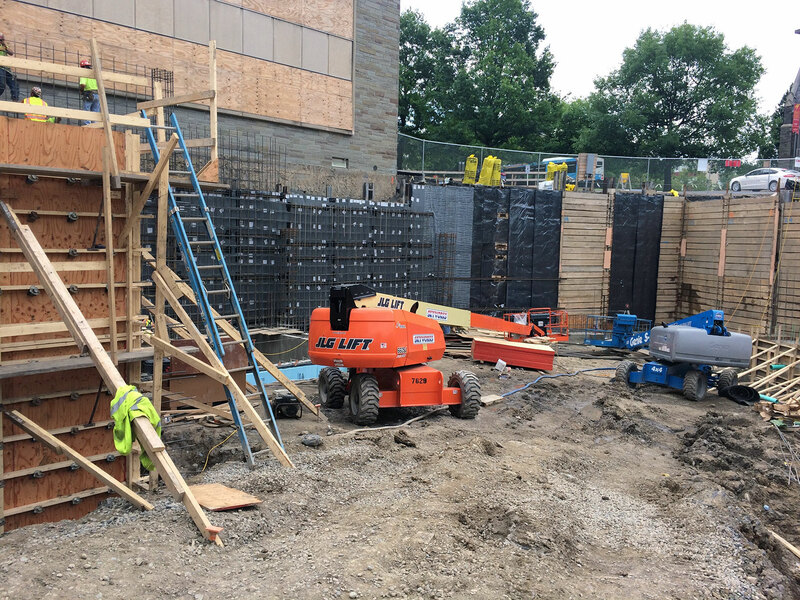 The CCW Miraply V was used inside the form of the foundation wall to waterproof the foundation wall as it was poured. Blindside waterproofing is waterproofing in reverse. Typically, a lag wall the height of the foundation wall is installed to hold back the soil. The drainage board, insulation and waterproofing membrane are installed on the lag wall. 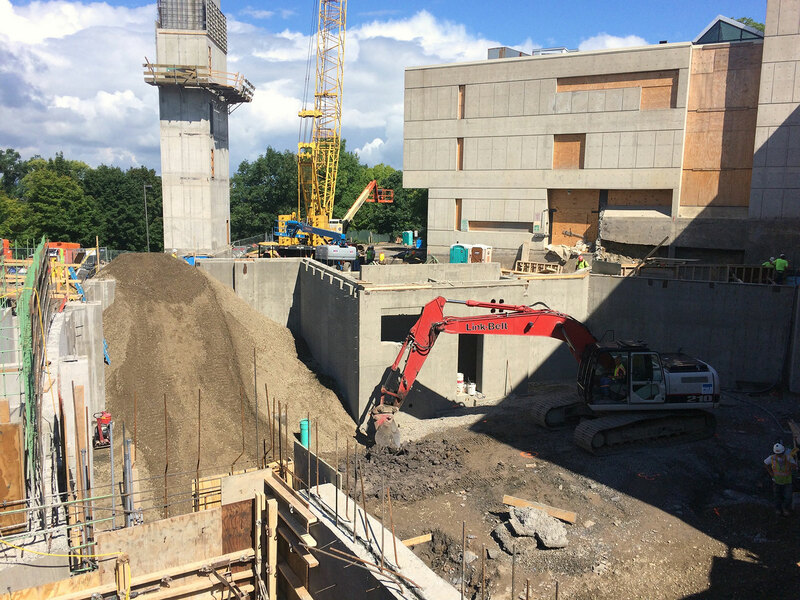 After the interior form is installed the foundation wall is poured. 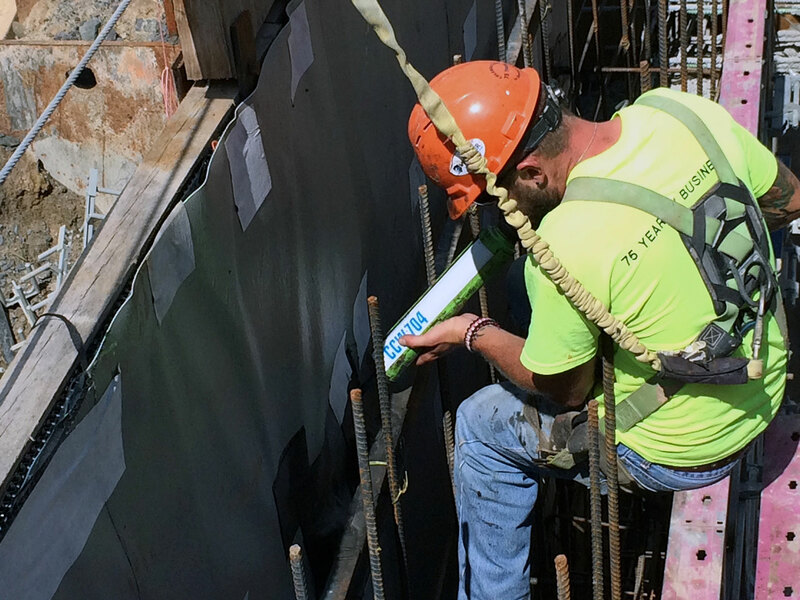 The curing concrete activates the adhesive on the Miraply and allows the membrane to full adhere itself to the concrete as the concrete cures. This approach is a great way to maximize the square footage in a building that is going into a tight site. 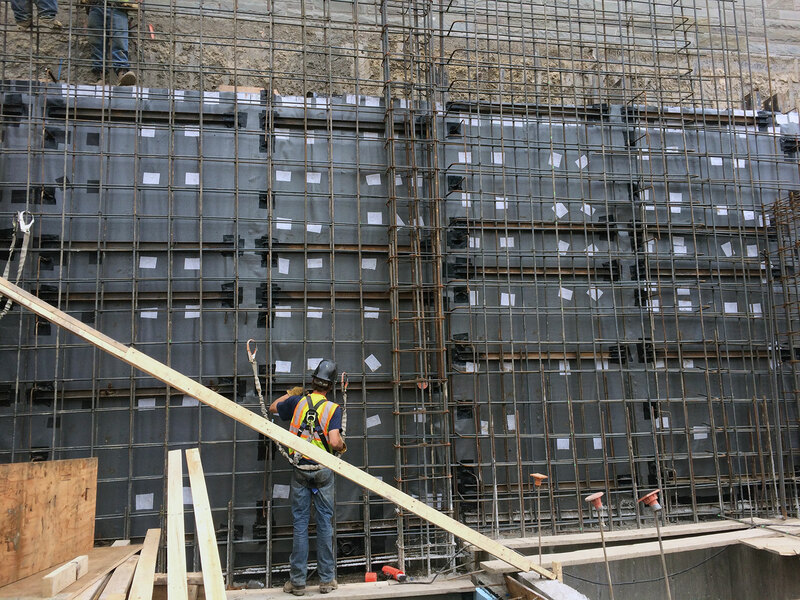 The rest of the foundation walls were poured in a traditional style and therefore utilized the CCW 860/861 membrane and CCW 6200 Drainage Composite. The waterproofing tied into the above grade air barrier. 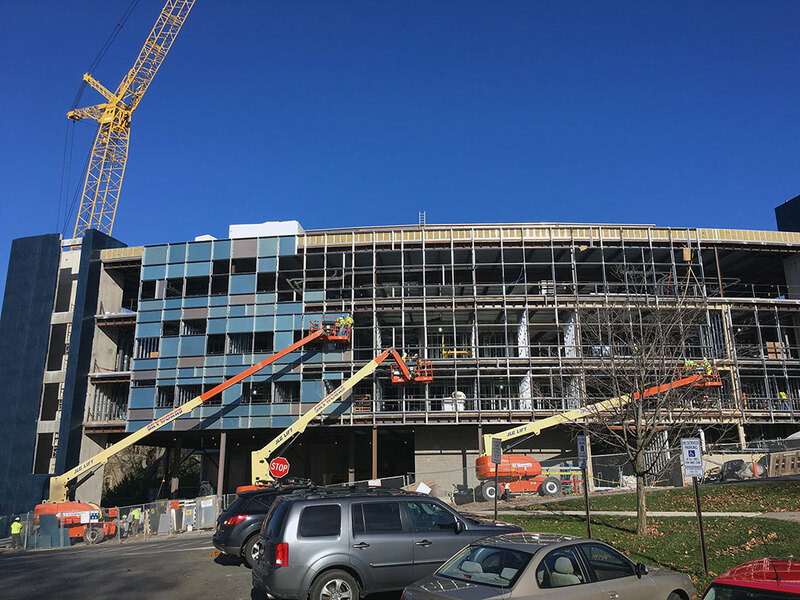 The CCW Barritech NP Air/Vapor barrier was used to maintain an energy efficient building and the Hunter XCI Foil insulation was installed as the exterior continuous insulation that is required by code. 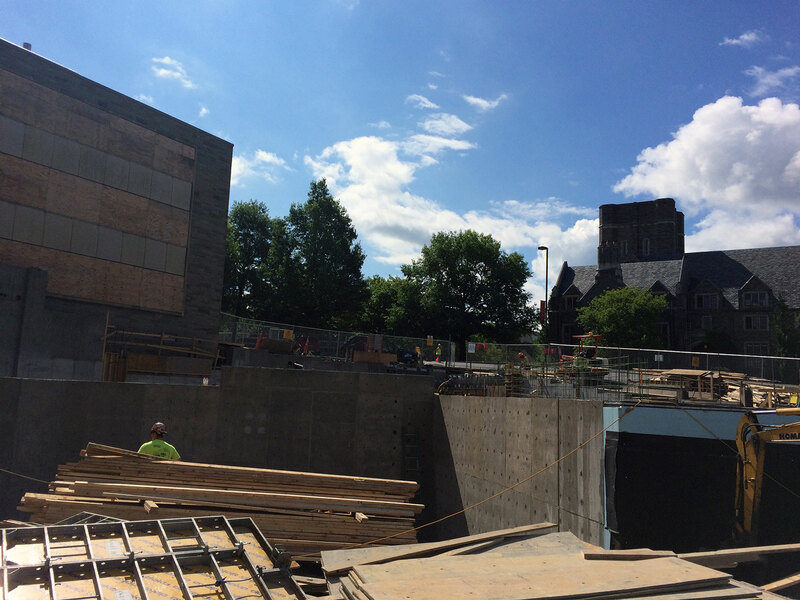 The air barrier was applied to the exterior gypsum board, CMU walls, and poured walls above grade. 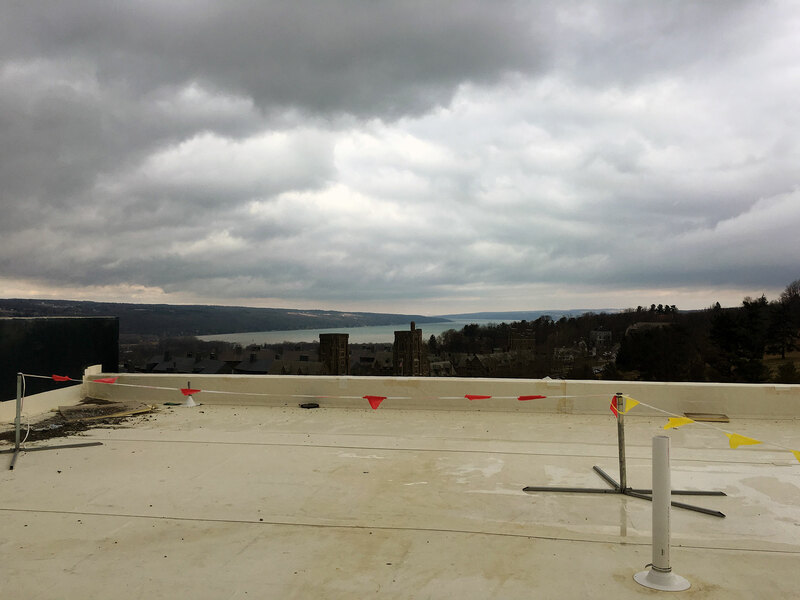 The XCI Foil covered the air barrier and provided that much needed insulation that buildings require in Upstate NY. The air barrier tied into the white Carlisle TPO roofing membrane. White was chosen for it’s reflectivity and tpo was chosen for it’s durability. Having Carlisle products on the roof allowed for a warrantable tie-in between the most critical area, the roof to wall details. Hot air rises in a building and poor tie-in details can lead to very expensive repairs to the cladding and the roofing.